One of the most common trends in senior living communities involves incorporating sustainability into the design process. This isn’t surprising as green design concepts have started to become commonplace in other architectural projects such as the development of schools and office buildings. Sustainable design offers numerous benefits including improved air quality, energy and water conservation, more efficient lighting, recycling programs, and more. 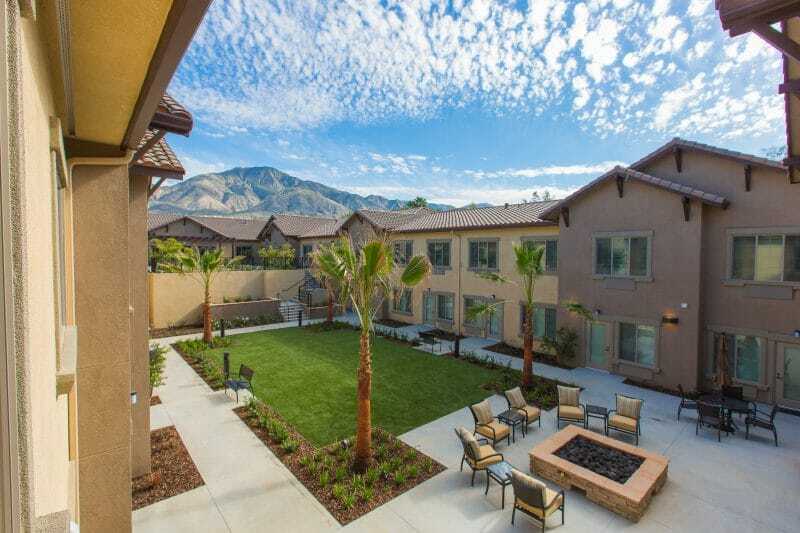 From the cost savings to the environmental impact, there are a lot of advantages to integrating sustainable design into senior living communities. Our team has embraced green design and we are proud to have LEED certified (Leadership in Energy and Environmental Design) team members. Based on this expertise, here are just a few reasons why you should integrate sustainability in senior living commercial design. Seniors today have a better knowledge and appreciation for sustainable living. They care about their carbon footprint and understand how their housing impacts the environment which is why sustainable design interests them. Some communities offer Green House Homes where 10-12 seniors have their own bedrooms and bathrooms but share common areas such as a kitchen, dining room, and living area. This helps give seniors more independence in addition to a sense of community all while conserving resources. Developing a sustainable living environment can improve long-term cost savings. It may be more of an initial investment, however, over time the community will be able to reduce energy and water consumption. At Warner Design Associates, we help clients understand the added value and cost savings of implementing a sustainable approach into their development plan. A sustainable infrastructure can also result in a healthier environment. Improved indoor air quality and natural daylight can enhance the health and moods of residents. These added benefits not only make seniors feel more comfortable, but they can also lead to less turnover among staff since the workspace is a healthy and ergonomic place to work. Overall, green features are becoming more important in retirement and senior living centers as there are clear benefits for the community and residents. As the focus on sustainability and green living increases, it’s imperative that communities understand how to effectively incorporate sustainability in the senior living commercial design process. If you have any questions regarding how to integrate sustainable trends into your senior living community, please feel free to contact us for more information. We’d be happy to help discuss our processes, portfolio of work, and services that may be able to assist you.